DOLLAR BILL!!! 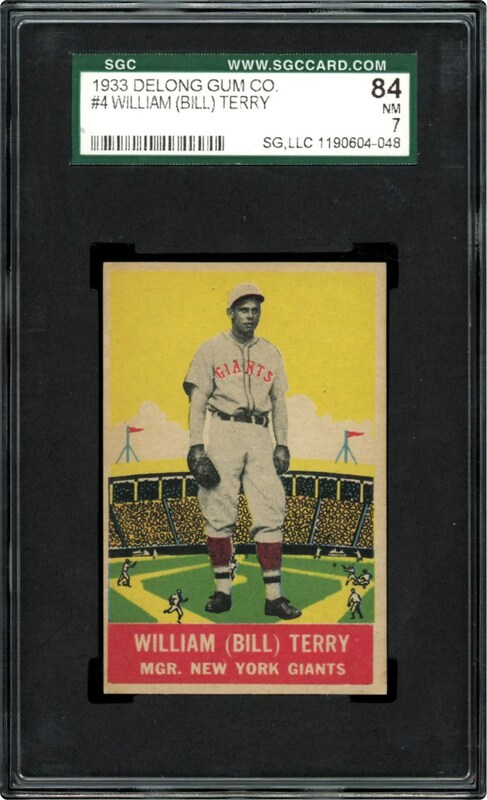 Hall of Famer Bill Terry on this mid sized Delong card from 1933 in an SGC NM 7 holder. 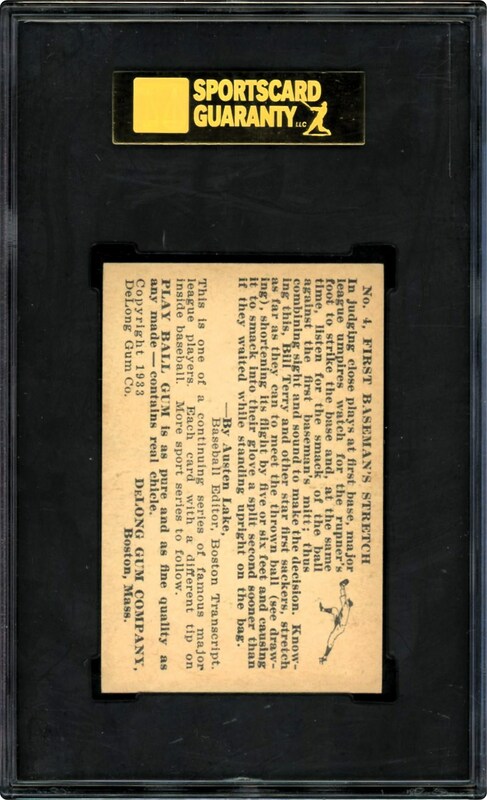 Sharp corners and a pack fresh look helped this card land in a NM holder. Over 86 years old. WOW!! !